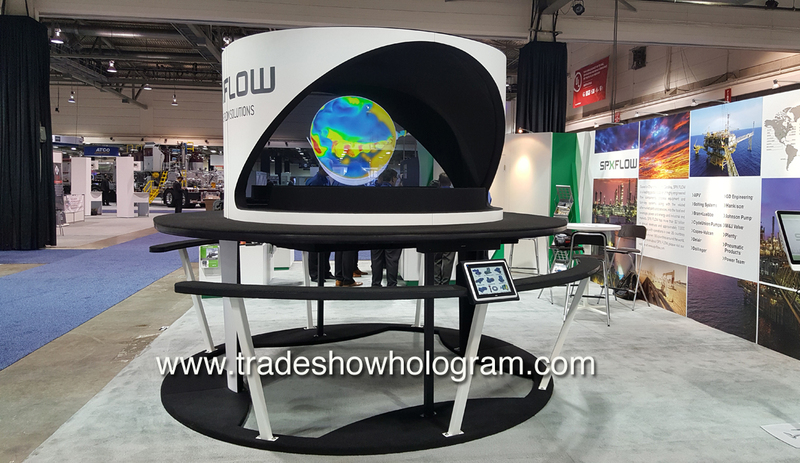 Trade Show Holograms new Ultra Bright projection system creates full 1080 HD holographic projections that seem to float in mid air. The company specializes in 3D presentations for the trade show market where exhibitors wish to stand out from neighbouring booths and attack attention. The Ultra Bright projection system creates imagery that can be seen a great distance from the booth. In addition to its interactive touch screen display which calls up presentations on demand the display features full audio in the presentations as well as HD quality video far superior to low resolution displays on the market. This entry was posted in Hologram Projectors and tagged 3D, HD, hologram, projector by TimothyDrake. Bookmark the permalink.